In accordance with the geographic collapse of our contemporary world, we are creating a territory for trust and investigation. 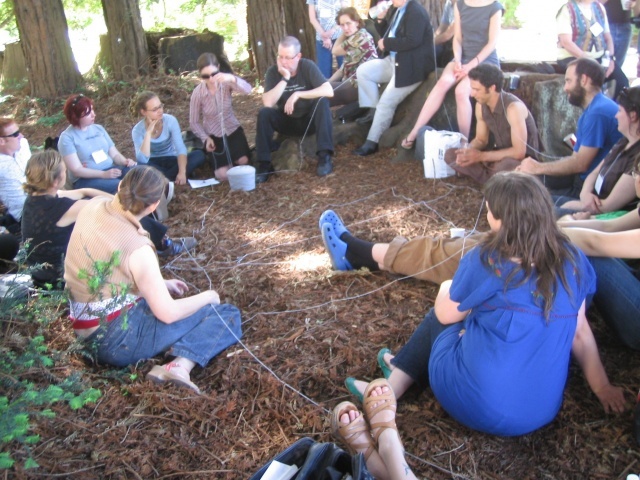 Talking Circle is an action and a story, an intervention and an invention. 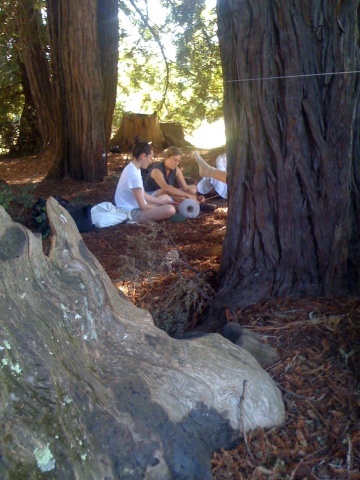 Talking Circle is where you are heard and where we will listen. 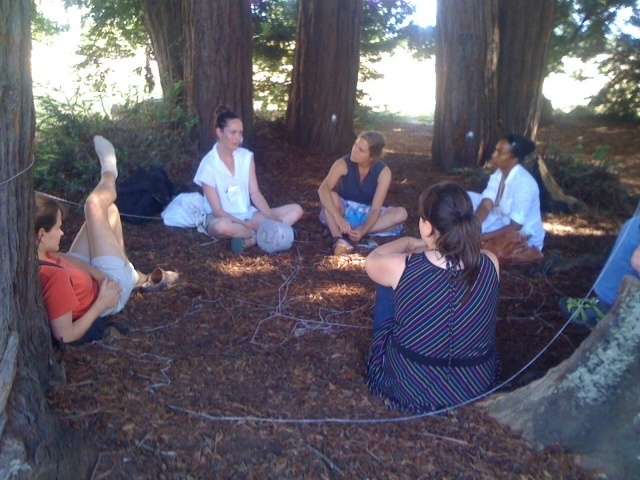 Please join us as our Talking Circle in Santa Cruz operates simultaneously with Talking Circle in Los Angeles. For the duration of Talking Circle (Thursday and Friday between 2:30-5:00pm PT) we will send and receive - both through speech and telepathy - words, thoughts, and contradictory complexities to tackle the current state of affairs regarding art in the public sphere, with particular focus on the right of all peoples' voices being heard, regardless of gender, race, nationality, ideology - and even locale. 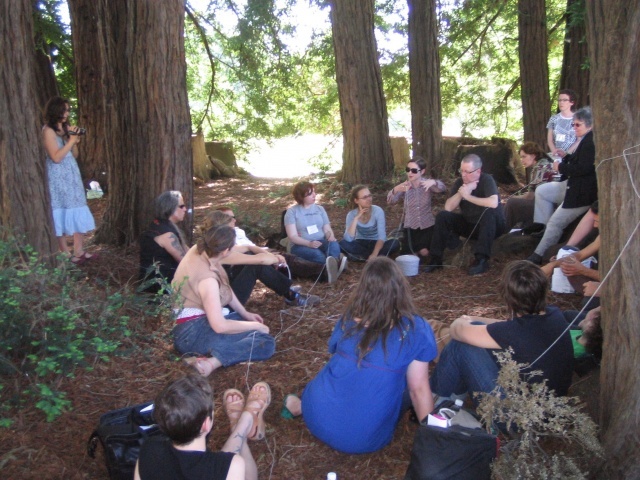 Talking Circle creates the opportunity for sincere and thoughtful community and conversation, making available a stage for a culture of caring. 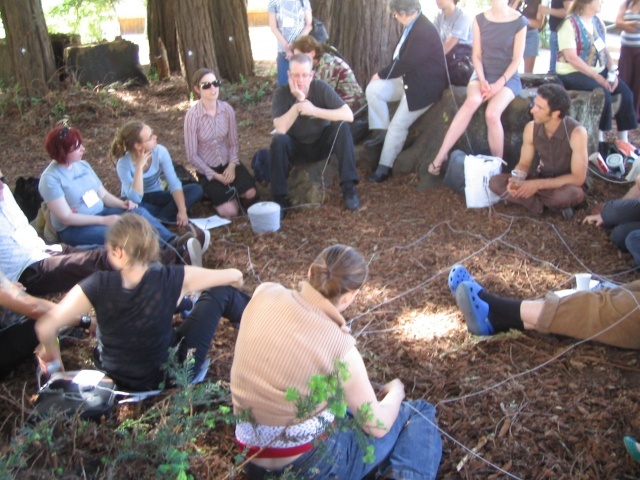 It is a space for reflection and respect, a space where one voice is heard in turn and the surrounding community listens; this format suggests a method for creating caring, loving human and social interaction. Being a member of a community entails a commitment to listening and to honestly sharing feelings. 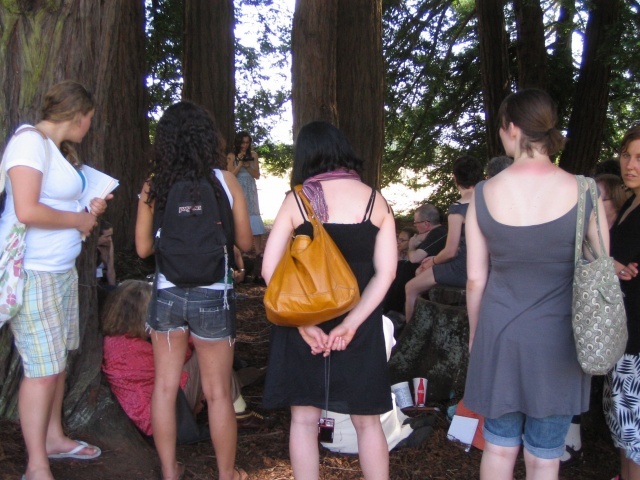 Talking Circle, then, also means empowering people – women, men, children – to speak and listen in public space. 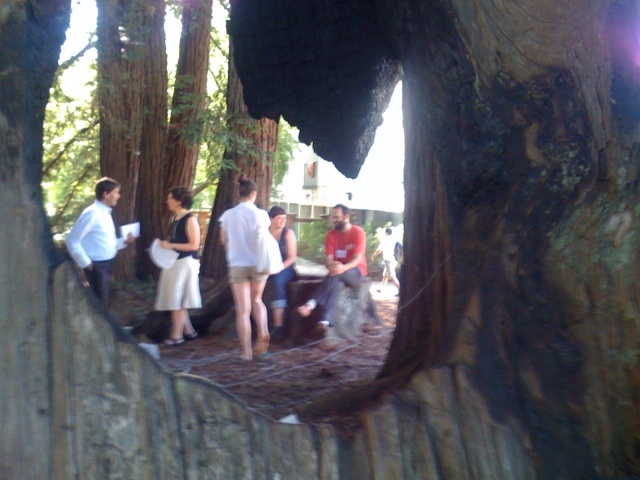 Initiated by Veronica Wiman and realized together with Hope Hilton, the Journal of Aesthetics and Protest and Michael Parker of RoutesAndMethods, Talking Circle is an investigation into the aesthetics of trust, public space, and social architecture.